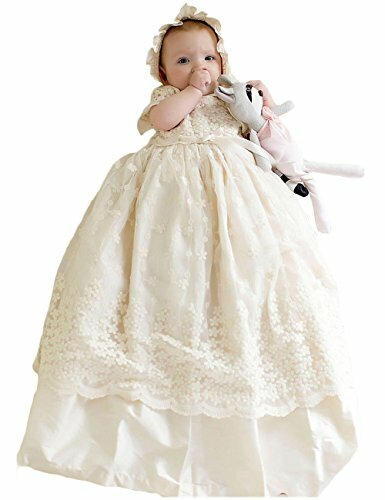 This baby girls christening gowns is for casual wear in Autumn/Spring or Summer, great for special occasion like wedding party, holiday party, first communion, ceremony, baptism, birthday, pageant, artistic photo shoot etc. 1.Excellent quality--superior fabric, dedicate craftsmanship, accurate measurement & complete QC system. 2.Competitive price-- more quantities, more discount. 4.High quality--Choose fabrics according to the different dresses. 5.Full refund unconditionally for any quality issue-full refund honored will be our responsibility. Please refer to OUR SIZE INFO on the left image and descriptions. All our products are made of top quality materials, and with very good workmanship. if you have any problems, please contact us freely.